As promised in an earlier post, here are the details of the final free masterclass being held in the Atrium later this month. Some of the guests as yet to be confirmed, but definitely amongst them will be James Watkins, writer/director of the British horror/thriller (?) 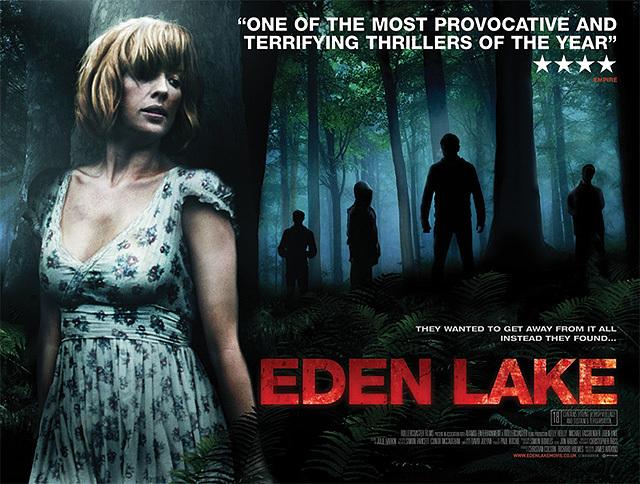 Eden Lake (not the James Watkins who used to play trumpet and incite football violence onstage with Shootin’ Goon). No, this James Watkins is a film professional and also had a hand in the screenplay for My Little Eye, the Hollywood debut for Wales’ talisman director Marc Evans. Eden Lake was produced by the recent Oscar winner Christian Colson, alongside Richard Holmes, who has himself lectured at the Screen Academy previously. Hopefully, Richard will have time to return for this masterclass as he’s well worth listening to. Like the two previous events, the masterclass will be preceded the night before by a screening of the film, which received positive reviews. I’d imagine it will do well on DVD though, and it’s available to rent now. This all happens on Fri 24th/Sat 25th April in the Atrium, Cardiff. More info should soon be online here. If you’ve written a feature length screenplay and need some feedback to help you write the next draft, you’re in the right place. I’m now offering script reports to writers for a very reasonable (some might say cheap) price. 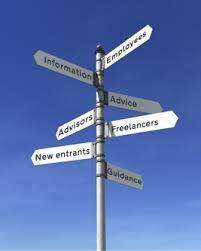 All the information you might need is on my Script Reading Services page, and you can also email me with any other questions. The masterclass on Abraham’s Point was really interesting. The film’s writer/director, Wyndham Price, was extremely honest and open with everything, and many of the things he said really hit home with me. He’s passionate about what he does, and it’s hard not to admire his persistance and dedication to film – he spoke about everything from struggling to make a living to his own self-doubt and personal frustration. The panel discussions weren’t without humour either, mostly thanks to the chair Ed Thomas and also Wyndham’s own fondness for using expletives to illustrate a point. The ‘hard way to earn an easy living’ line is often used in poker circles to describe the life of the professional gambler, but you can apply it to anyone trying to maintain a career in the ‘creative industries’, particularly film, as to many people outside of the industry, the media looks glamorous and not really ‘real work’ (and sometimes they might be right). It ties in nicely with the old ‘time is money’ cliche as well, because in order to find the time to write or shoot short films, you’re probably going to have to work a day job and your spare time becomes so valuable because of its limitations. If you’re an aspiring writer, you also need time to develop your own style, to mature as a writer and thus ‘find your voice’. I wrote a screenplay when I was 18 – the only one I’ve ever written (it’s not very good, as you might imagine). I think you need to live some life in order to have something to say, and at 18, I didn’t know an awful lot about anything. Sometimes I doubt I know much about anything now, and it was reassuring to hear at the masterclass that I’m not the only one who feels that way. In an industry that is so hard to break into, you need to do it because you love it, persevere and keep believing in yourself. It might take a long time, so be prepared and be pro-active. 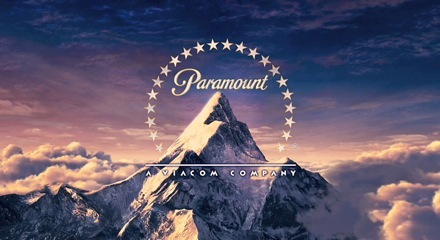 There should be another session with filmmakers in April, I’ll post details here when they’ve been announced. The Western Mail is reporting that “Pembrokeshire could star in last Harry Potter film”, which might be the sort of breakthrough performance the county needs to establish itself among the A-list of Welsh actors. In other film news vaguely linked to West Wales, the SSAW are running a free ‘masterclass’ this weekend with many of the people behind Abraham’s Point, a film in which Mackenzie Crook, of ‘The Office’ fame, travels from London to West Wales in the company of a clock. I’m yet to see the film, so I’m glad that the masterclass will be preceded by a screening of the film itself this Friday night. It all takes place in the Atrium in Cardiff, more information is here if you’re interested in going. We held a test screening of Avoiding Christian Bale last weekend. The results are being analysed and there will be a new cut of the film completed in the coming weeks. As expected, there hasn’t been much movement on the job front as yet, but it’s early days. A relocation to West Wales is not on the agenda.